Facebook got vanity custom URLs with username like facebook.com/username – this feature created lot of buzz with many trying to get hold of premium and more rememberable usernames. Facebook has extended the use of usernames to login into Facebook account. Note: Old system of using email ID to login still works. 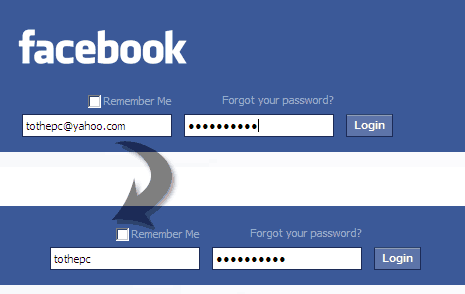 If you do not have Facebook username, click here and grab unique username for easy Facebook login! I am using my name, and my e-mail address.